National Mission for Clean Ganga (NMCG) is executing various pollution abatement and water quality restoration Projects. These include construction and rehabilitation of Sewage Treatment Plants, pollution abatement through bioremediation, afforestation drive, and construction of Ghats and Crematoriums among others, keeping in mind the long term sustainability of the projects. NMCG understands that biodiversity is an essential part of river ecosystem. Hence, several biodiversity conservation and restoration projects have been taken up as well. Ms. Bachendari Pal and her team members on their praiseworthy initiative, Shri Nitin Gadkari, Hon’ble Minister for Water Resources, River Development & Ganga Rejuvenation said, “However, it needs to be understood that the mammoth project of Ganga cleaning will require efforts from all of us. Hence, public participation is one of the key components of the Namami Gange program. Several projects have been initiated in this direction in partnership with stake holders such as District Ganga Committees Wildlife Institute of India’s Ganga Praharis and Ganga Vichar Manch among others. Taking our efforts to the next level, the first Indian Woman to climb Mount Everest Padma Shri Bachendari Pal is partnering with NMCG to spread awareness about waste management and increase public participation in the program”. Congratulating Ms. Bachendari Pal with her 40 member team will raft 1500 Kms along Ganga encompassing 8 major towns including Haridwar, Bijnor, Farrukhabad, Kanpur, Allahabad, Varanasi, Buxar and Patna. 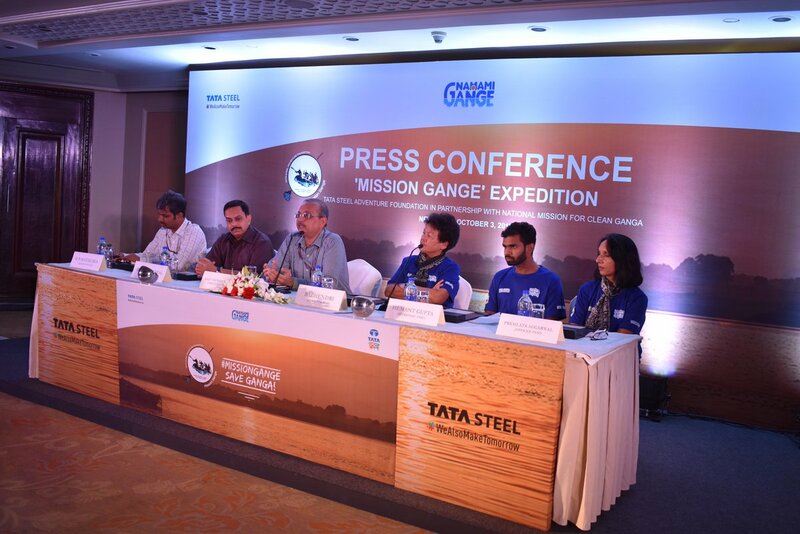 The expedition is being conducted in partnership with Tata Steel Adventure Foundation and will commence from 5th October 2018 and will end on 30th October 2018.